We’ve all gone through something. We all can recall at least one unfair hand that life has dealt. We know of hurdles mastered, mountains climbed, uphill battles and broken wings. And from a certain vantage point, it’s true—we are all survivors of life. But sooner or later perspective arrives always followed by its fair companion, humility. 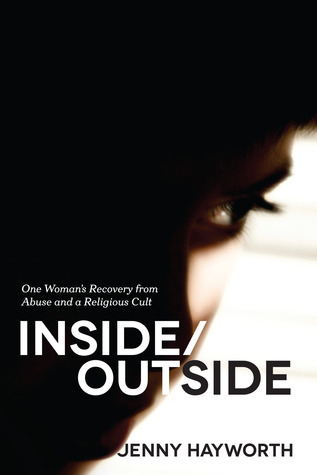 Most recently, perspective arrived for me in the form of a new book by Jenny Hayworth, Inside/Outside: One Woman’s Recovery from Abuse and a Religious Cult. This gripping story was so poignant simply because it revealed a battle field I have never faced. It shed light on shadowy places I never knew existed; or if I had heard of them, they remained dimly mysterious. Her book put my own painful experiences in perspective. Inside/Out is unique, gutsy and raw. After growing up intrenched in the doctrine of the Jehovah’s Witnesses, Jenny bravely details her emancipation, the causes that led to it and the painful aftermath. My eyes stung with tears as I read of her sexual abuse, physical and emotional abandonment, clinical depression, suicidal thoughts and loneliness. Jenny shares without reservation about her own shortcomings, stating courageously that her only motive is to spare others her same pain. The audience for this book, those who will find themselves in the pages, is vast. Some portion of Jenny’s story will undoubtedly resonate with everyone. And everyone who reads it, will find a second wind beneath their own wings, a new light on their own troubles. Jenny’s bravery, hope, determination and survival will be the encouragement many need to go forward one more day, to reach for the light at the end of the tunnel.